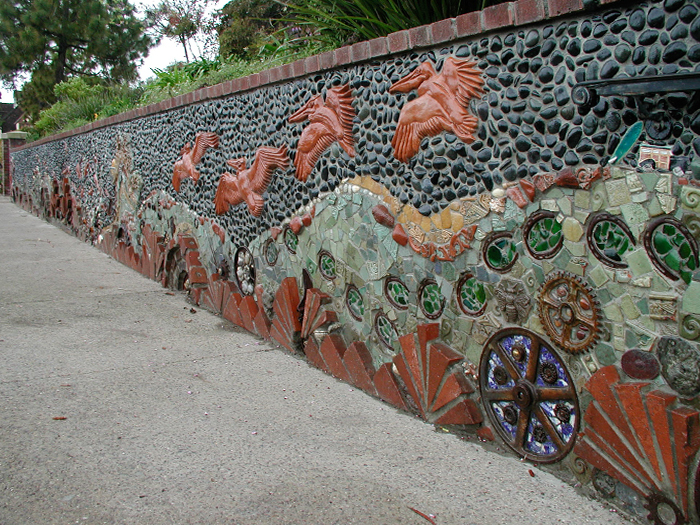 Betsy Schulz teamed up with Pat Welsh in 2002 and 2003 to help Welsh realize her dream of cladding the wall in front of the Del Mar Library with found objects, brick, and stone. 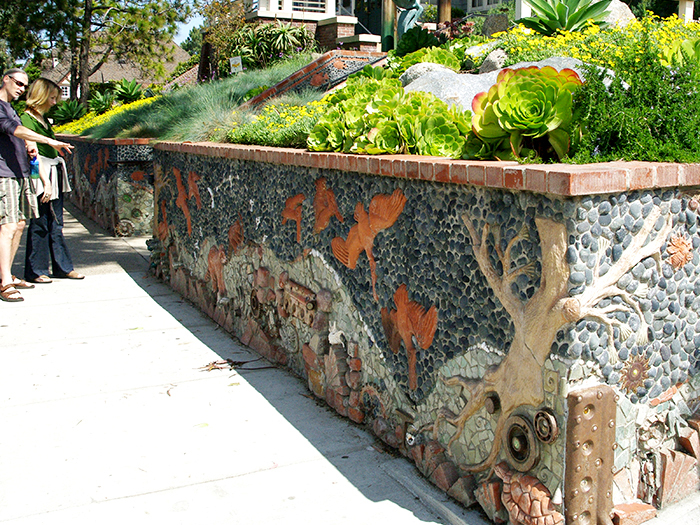 Together they designed the wall and created a presentation for the City of Del Mar to approve. 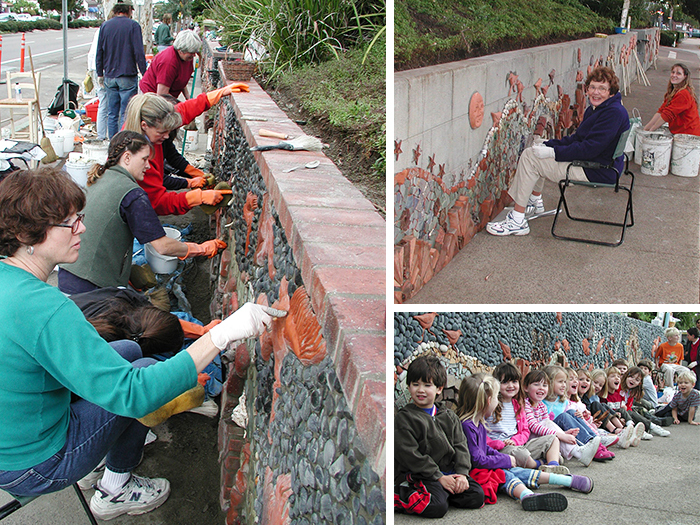 They built the wall with community volunteers and contractor Dean Johnson. 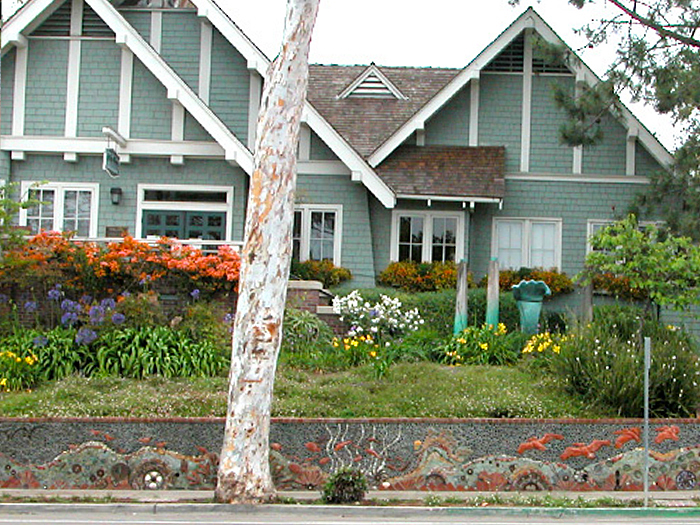 Funds for construction of the mural were raised through public donations, and at the end of the project the artists donated extra funds to the Del Mar Garden Club and Del Mar Library. 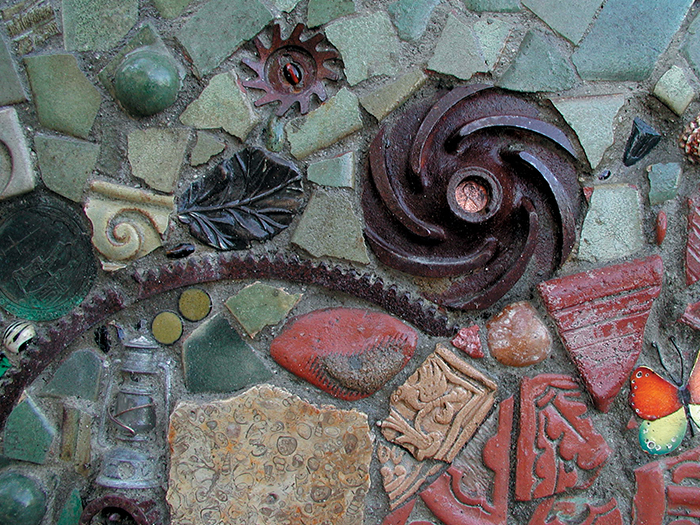 Donors, or their beloved family and friends, were recognized with sculpted tiles of Garibaldi, the California state marine fish. 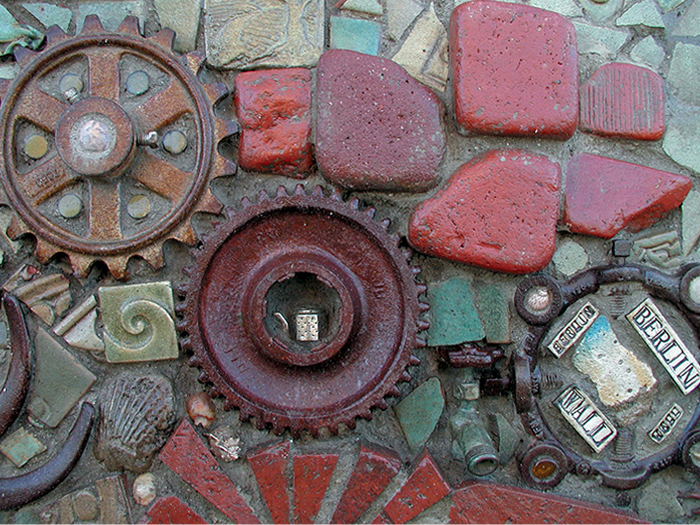 2014 Update: After 10 years, the wall needed a little repair work do to water damage. 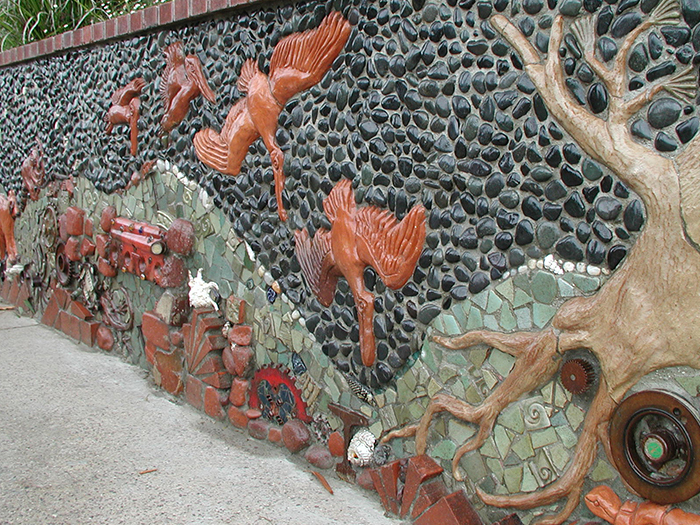 Pat Welsh and Betsy Schulz with the help of the Del Mar Foundation, received generous donations which enabled the waterproofing of the back of the wall by Island Construction. 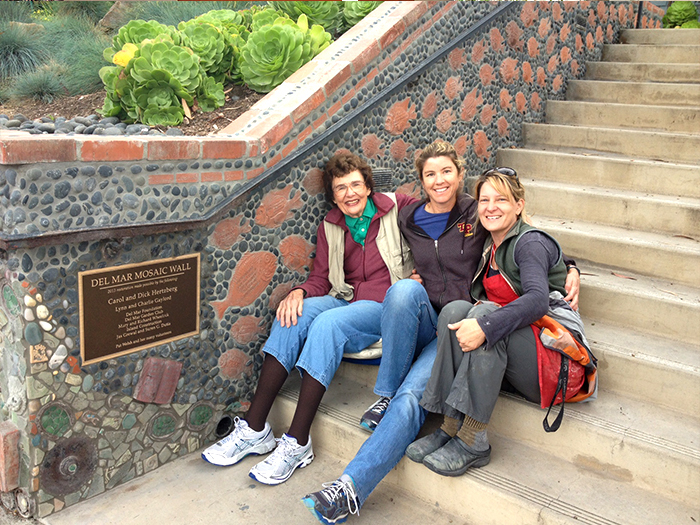 The front of the wall was repaired by Pat Welsh, Betsy Schulz, Kathryn Schmiedeberg and dedicated volunteers. Now the wall looks better than ever and ready for the next 100 years.